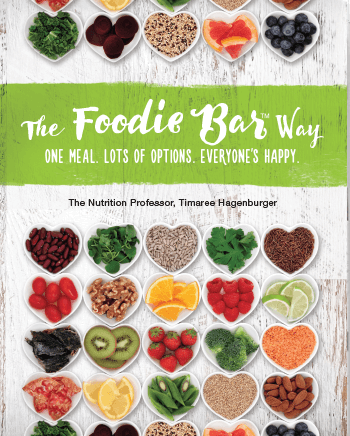 "The Foodie Bar Way" is a plant-based cookbook written by nutrition Professor Timaree Hagenburger. She said her goal is to show readers that it is possible to eat foods you enjoy and still stay healthy. One of the most difficult things to do as a college student is find the time to sit down and eat a nutritious, filling meal. With work, family, classes, studying and living off a small budget, time and money can be a scarce resource. It’s something many students go through and often the easiest thing to do is just eat out. It makes sense on the outside, slip through a McDonald’s drive thru, order a few things off the dollar menu and you’ve got yourself a cheap meal. Nutrition Professor Timaree Hagenburger is taking a big step to show that there are healthier alternatives out there for those on a tight budget without sacrificing taste. For Hagenburger it’s not just about nutrition, she said it’s more important to find food that you enjoy. Her book is there for people with different types of cookings levels; whether you are a great cook, can only cook a few things or have never cooked before. “The Foodie Bar Way” emphasizes on creating food bars that can appeal to everyone’s taste buds. Hagenburger’s cookbook emphasizes giving people options with what they want to eat. She introduces specific food bars, where all the healthy ingredients are laid out for people to pick from. With over 30 Foodie Bars available in the book, you’ll have recipes for foods like pizza, nachos, salsa, dessert, pasta and many more. As a registered dietitian and health expert, Hagenburger recognizes the importance of eating healthy and taking care of your body. It’s something Wong praises Hagenburger for. 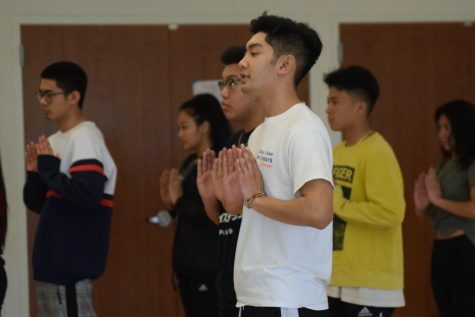 “She is on the cutting edge of nutrition and health and continues to find new ways to share her knowledge and experience with her students,” Wong said. She talked about the human body and how much it can tolerate from a lack of nutrients. But as the body pushes on to keep surviving, a lack of nutrients leads to illness. It’s things like these that can impact students, especially when there are men and women having strokes at 19. That isn’t normal and Hagenburger wants to help make sure it doesn’t have to be. One student who was impacted from taking Professor Hagenburger’s nutrition class is Joann Helmich, 60-year-old nursing major. 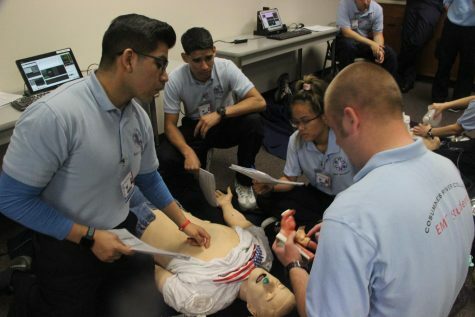 “Her class saved my life and the life of my husband,” Helmich said. Helmich learned about plant-based diets in Hagenburger’s class. After making the switch, Helmich and her husband are now living a healthier lifestyle. Hagenburger said putting a cookbook together and the process of getting it published can often be the most lengthy part of the process. “This is crazy. Trying to find a reasonable printer is a huge challenge,” Hagenburger said. “The Foodie Bar Way” will also offer something that Hagenburger says not a lot of other cookbooks have. 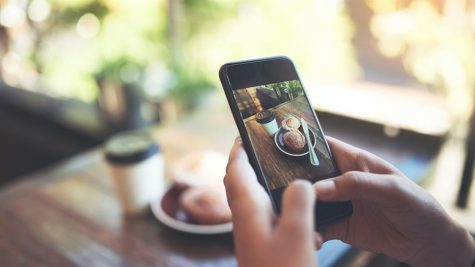 “I have a picture for every single recipe, because that’s what people want, they want to see the pictures,” Hagenburger said. Hagenburger doesn’t have a set date for when the book will be published, but you can pre-order it on the book’s website foodiebars.com. It will be available in a paperback version and as an eBook.